When painter Sally Bennett was redoing her James Island home, she craved something warm and forgiving underfoot—preferably wooden, preferably tile, and, given she’s known for her phenomenal color pairings and way with patterns, preferably stunning. Unable to find any such thing on the market, she turned frustration into ambition and Mirth Studio (866/519-7727; www.MirthStudio.com) was born. 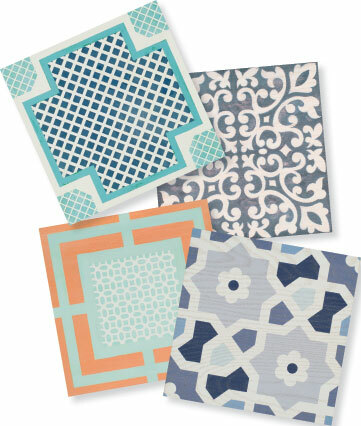 Today, Sally and her graphic designer create an array of tongue-and-groove tiles that lock into place and are as durable as regular wood floors. When word got out, calls came from wedding planners near and far hunting for dance floor options. A few tweaks later, the mobility puzzle was solved, which means you—yes, you—can have a supremely haute floor for your first dance as Mr. and Mrs., and that same stunning setting can also roost in your newlywed nest. 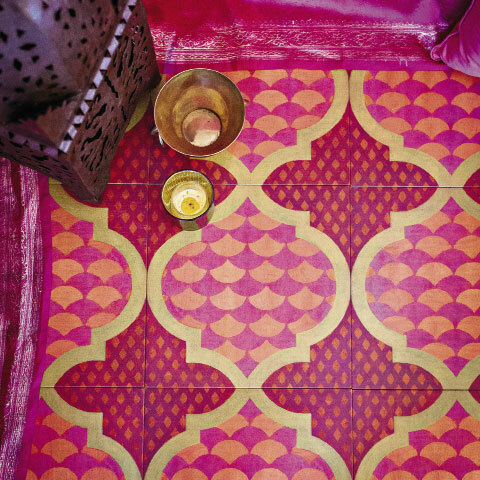 The square tiles measure 16 or 20 inches ($15-$26) across and discounts are offered for orders of 500 or more. Prefer a special palette or original design? Mirth crafts custom projects. And considering materials are sourced and milled responsibly stateside and then printed in the Charleston area, everything about Mirth, ahem, floors us.